Vetcove has teamed up with the AAEP to bring equine practitioners an enhanced way to supply their practices. AAEP members receive enhanced Inner Circle access and premium support on Vetcove as an AAEP member benefit. Vetcove is an officially supported purchasing platform for the AAEP. We are proud to support the AAEP and its members. On or after June 30th, when you renew your annual AAEP membership through the AAEP website and pay your annual membership dues, you’ll also be prompted to upgrade your Vetcove account at that time. If you’ve already completed the upgrade, no action is necessary, and you can safely ignore this message. If you have any questions, or would like assistance, just email aaep@vetcove.com, or call us at 646.504.2696. Click the orange View My Member Profile button in the header. On the left-hand side, click Vetcove to access the Vetcove upgrade page. Click the Create/Upgrade my Vetcove Account button. You’ll be redirected to the Vetcove website. If you are not in charge or purchasing at your clinic, you can send the upgrade to your inventory manager by clicking Send Upgrade to My Purchaser. If the upgrade was successful, you’ll see the AAEP branding and messaging upon login. Veterinary organizations that employ one or more full-time AAEP members in good standing receive all of the aforementioned Inner Circle features at no cost, as a benefit of current AAEP membership. Memberships to the Inner Circle for non-AAEP members are available to organizations, hospital groups, and individual clinics starting at $40/month (for a one-vet clinic). 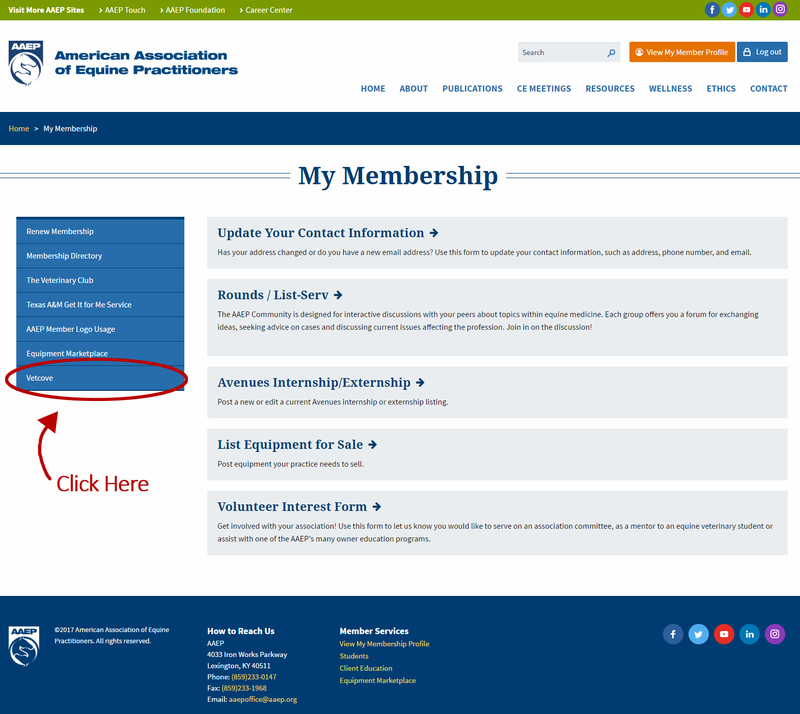 Note that certain member benefits described on this page are AAEP Inner Circle exclusives, and are not included in general Inner Circle memberships. Contact us for more information! Having trouble upgrading your account? Use the chat in the lower right corner and we will help you out!